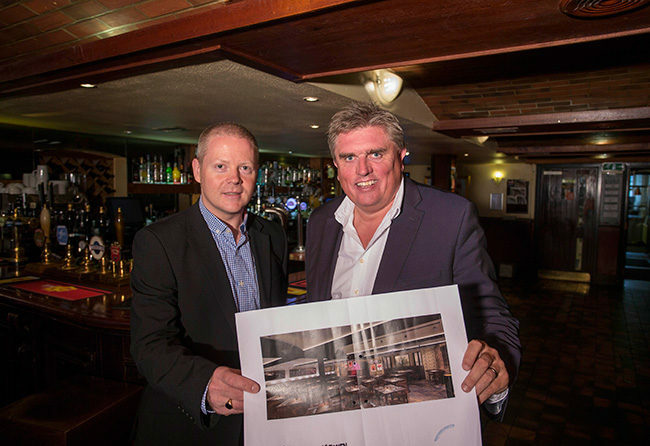 Plans for the redevelopment of one of Aberdeen’s best known bars have been officially unveiled. The new owners of west-end establishment, No.10, based at 10 Queens Terrace, have formally revealed their expansion plans, which will see the historic granite building undergo a major six-figure refurbishment. The renovations which are expected to be completed by September, will incorporate the recently acquired adjacent basement building, No.9, which is currently used as an office space, to create a new stylish 90-seater restaurant with private dining facilities. Owners have also confirmed that the venue will be named, No.10 Bar & Restaurant, with new branding yet to be revealed to reflect the transformation and style of the new restaurant. The new No.10 Bar & Restaurant will provide a dual-offering for customers with relaxed casual dining in the bar area and a more formal brasserie-style menu to be served in the restaurant. The interiors of the restaurant will be modern but in keeping with the 29-year old history of the venue, with traditional herringbone flooring, dark wood furnishings, leather-clad booths and a glass-fronted private dining room for up to 14 people. The new restaurant will serve a traditional, yet contemporary menu using fresh, seasonal and locally-sourced produce from the area to create an extensive range of dishes to suit all tastes. The new venture is expected to create an additional 20 jobs for the area. Award-winning Nicoll Russell Studios have been appointed as architects to oversee the refurbishment and design elements of the new look No.10, with CP&Co. advising on branding/marketing. Director of No.10 Bar & Restaurant, Allan Henderson, said: “No.10 has long been a highly-regarded west end institution but in recent years, we felt it has become relatively dated, so when the opportunity to acquire came up, myself and my co-directors were determined to revive it back to its heydays and create a new dining experience for the area. The existing No.10 site will remain open until August, serving breakfast, lunch and evening meals, whilst refurbishment continues in No.9. The new restaurant and bar is expected to be ready to open to the public by end of September. No.10 Bar & Restaurant is currently recruiting for various positions. For more information, please email jillian@no10aberdeen.co.uk.